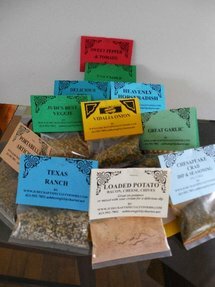 Wholesale dip mixes. 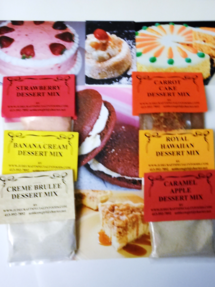 We offer gourmet dip mixes, olive oil dips, cheesecake dessert mixes wholesale or retail. We are interested in selling to motivated individuals that want to establish their own business or supplement an existing one. With our wholesale dip mixes program, your profits will increase. 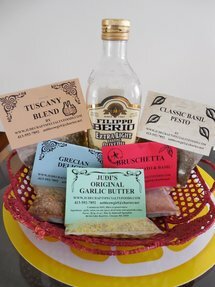 We will explain the dip mix business to anyone interested in selling our gourmet dips and mixes wholesale. Please feel free to check with us as we have excellent/ competitive pricing, run specials, and require lower minimums than most other dip companies. Several new customers have realized increased savings for similar dip mix products they used to purchase at a much higher cost with higher minimums. We will try to provide lower cost and better taste, an ultimate combination in which you will benefit. Lowest minimum orders at (50) package total, lowest price, top quality and on time delivery. Private labeling is available as well. We stress that our dip mix products are excellent tasting and sell very well at fairs, festivals, markets, stores, etc. Our premier gourmet dip mixes will sell themselves on their delicious taste. Our successful Fundraising program is also another way to make extra income. Please feel free to visit our Contact page where you can either call, email, or both.